BZ Dogs: You Want Us To Do What??? Daily Dog Challenge "303. How's The Weather - Show us the weather where you and your dog live today or how your dog feels about it." I told the boys we were going to go outside and show the world our weather. Our Daily Challenge - Aug 29, 2012 - "Entertainment"
We're all hoping tomorrow is a cooler day! Scavenge Challenge August 2012 - 14. Think of someone (living or dead) whom you admire but have not met in real life. Without using an image of that person as a major prop, create a photograph which relates to them and why you hold them in esteem. Laugh if you must, but I am in total awe of Martha Stewart. It's not so much any one particular thing that she does, but that she does so many different things. I went to the library to pick up some books for this shot and discovered my modest sized library has over 50 titles by Martha Stewart and her empire - and a good number of them were checked out. There were books on gardening, cooking, crafting, sewing, painting, decorating, decluttering,… the list went on and on. Does the woman ever sleep? Henry was clearly impressed, as he stared at the pictures for the entire (if brief) shoot. Perhaps he's hoping I'll make him a dog sock puppet. Love how exppressive the boys are. 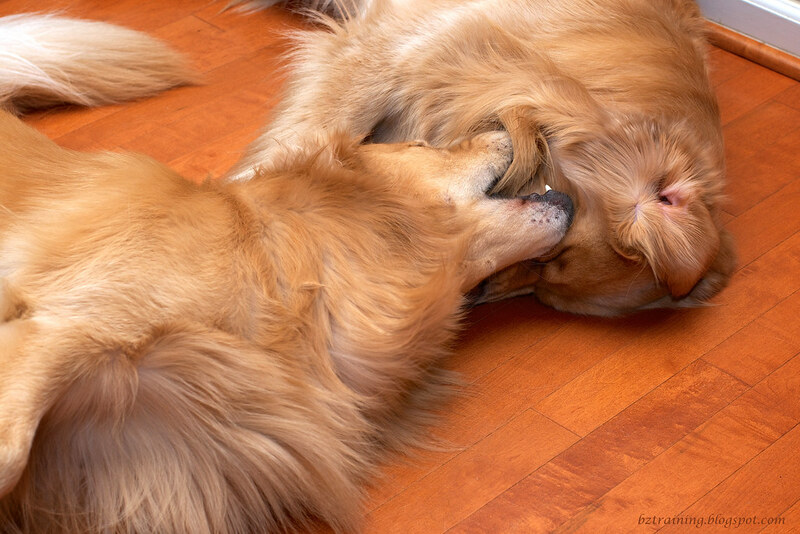 We goldens know how to tell you what we think. The bitey face shots are cute, but it's the Martha Stewart shot that I love! I confess to admiring her, too. I always love her Halloween ideas! I Love Martha Stewart too..the woman who never sleeps! 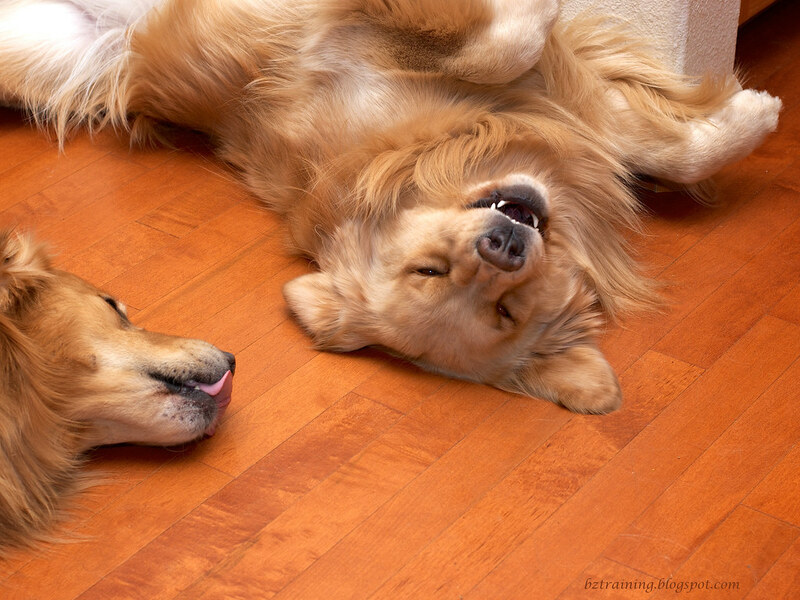 I always enjoy how your dogs rumble about on the floor. Martha is certainly one very creative lady. Our garden tissue pompom's in my iphone post were from her.